Animal Control serves the town by responding to issues related to animals that are lost or found or reported as potentially abused. The Animal Control officer may be contacted for ongoing issues related to an animal in the community. The Animal Control officers are Jill Flinn - (802) 282-9426 and Ed McEananey - (802) 554-0112. Situations involving wild animals should not be directed to this office, but instead to the local game warden who can be reached via the state police dispatch (802) 722-4600. There are nine cemeteries in Cavendish; three are still active and have lots for sale. 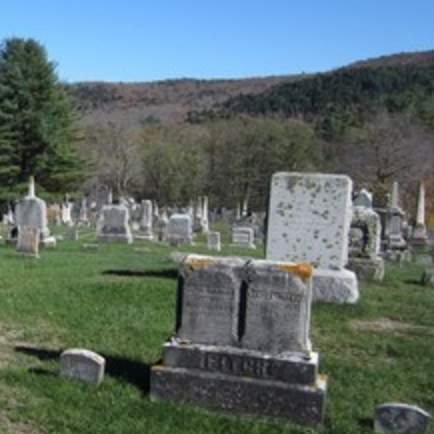 For burial information and lot prices, contact the Cemetery Sextant, Bruce McEnaney, at the Town Office (802) 226-8045. Robert C. Glidden is Cavendish's Emergency Management Coordinator. Cavendish Town Elementary School (802) 226-7758, Cavendish Baptist Church (802) 226-7131, and the Proctorsville Fire Department (802) 226-7281 all may serve as an emergency shelter. Cavendish is home to two volunteer fire departments, including Cavendish Volunteer Fire Department and the Proctorsville Volunteer Fire Department. Cavendish's Emergency Management Coordinator is Robert C. Glidden of Proctorsville. The Cavendish Fire Warden is Roger Sheehan; he can be reached at (802) 226-7692. Fire Warden Key Men include Robert W. Glidden (802) 226-7692, Raymond Fitzgibbons (802) 226-7288, and Shane Turco (802) 342-3935. Please contact the Fire Warden or one of his Key Men to obtain a Burn Permit, which is required for all open burning of yard and garden debris. Our Town Health Officer is Doris Eddy, who can be reached at (802) 554-0116 (home), or (802) 558-5670 (cell). Town Health officers are concerned with public health hazards and public health risks. Learn more about the duties of the Town Health Officer via the Vermont Department of Health. The Cavendish Town Highway Department is located at 157 Route 131. If you need to report any concerns with the Town Highways, please contact the Town Manager at (802) 226-7291. Alphonso (Phon) Chambers is the Highway Foreman and the other members of the highway crew are Bill Bigwood, Kurt Rushton and Larry Kempf. The Municipal Water and Wastewater Systems serve residences within the villages of Cavendish and Proctorsville. Any concerns with water and wastewater services should be directed to the Town Manager at (802) 226-7291. Billing questions should be directed to the Town Clerk’s Office at (802) 226-7292. The Chief Water/Wastewater Operator is Randall "Randy" Shimp and the Assistant Operator is Nathan Rose.